Showcase and protect your guitars and basses with the On-Stage GS8500B 5-Space guitar hanger. Constructed with black anodized aluminum, the 48 x 4.5 in. base board mounts easily to a wall. 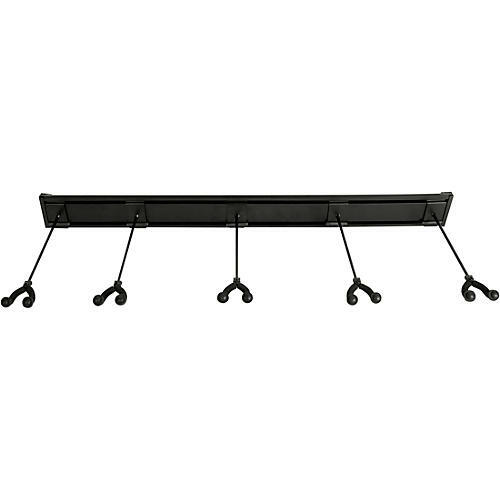 The GS8500B includes 5 wall hangers, which extend 14.5 in. from the wall (five hangers can be used, or less if not needed). The wall hangers also feature a 45-degree swivel right and left to ensure optimal presentation and accessibility, while EVA bumpers protect your axe's headstock.